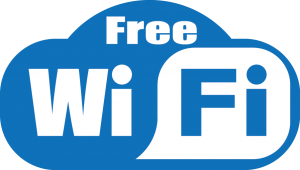 Our hotel´s free Wifi service is designed to send/receive email or surf the Internet. To be connected, ask for a password in the reception, every session lasts 24 hours and you can have as many as you want. The inactive sessions are automatically disconnected to fully optimize the system performance. Hotel Ribera de Triana has also a PREMIUM internet service with a guaranteed bandwidth suitable for advanced users, for video streaming, video conferencing or VPN connections. You can get premium access at the front desk by asking for a ticket or by paying directly via credit card.